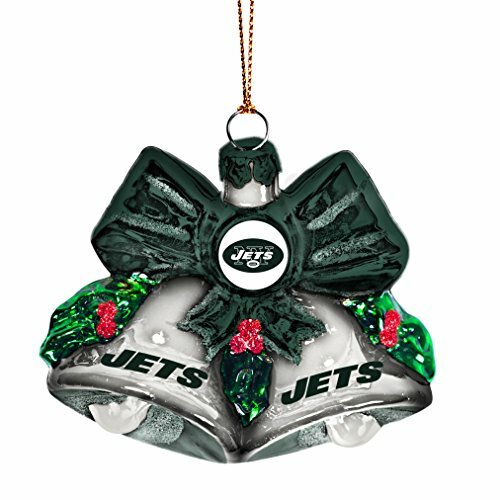 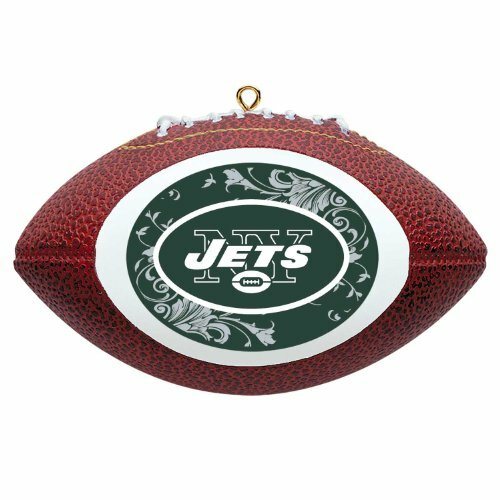 New York Jets Christmas Tree Ornaments look very Christmasy with the Jets colors of Hunter Green and white. 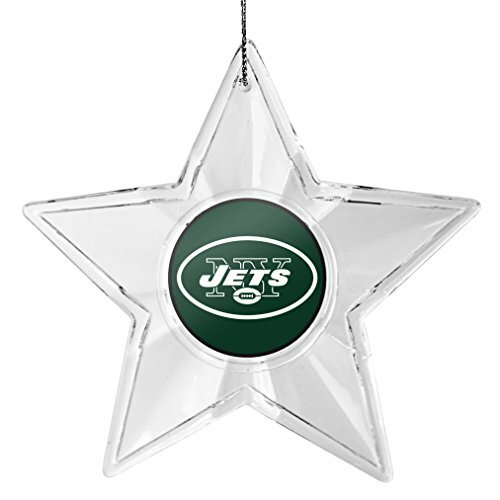 It would be easy to create a festive Christmas tree using the green Jets ornaments along with plain red ornaments and red garlands. 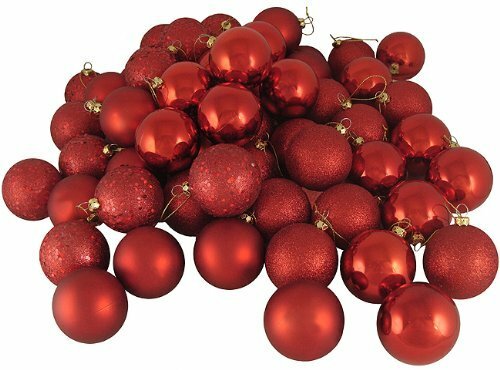 Tinsel or beaded garlands would look great. 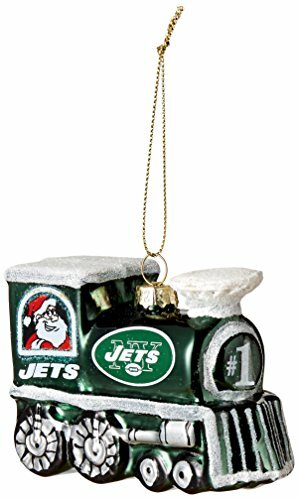 If you’ve drawn the name of a New York Jets fan in a gift exchange, an ornament would be perfect. 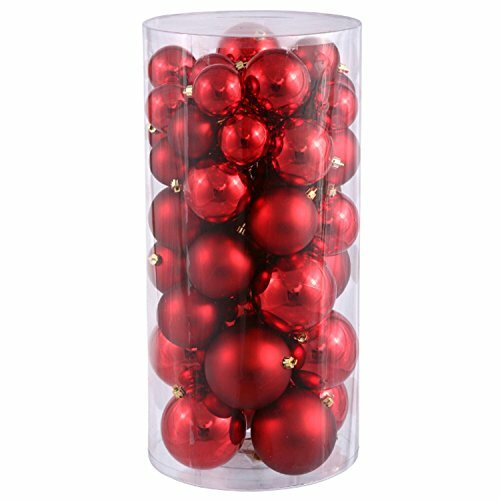 Depending on your dollar limit, the ornament could be used to decorate the package or you could get them more than one ornament. 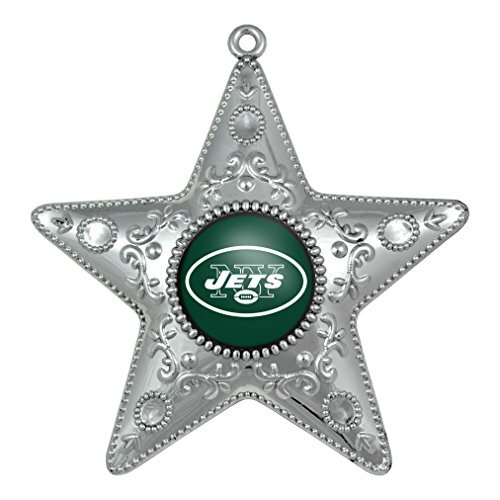 Jets fans would be pleased with this gift. 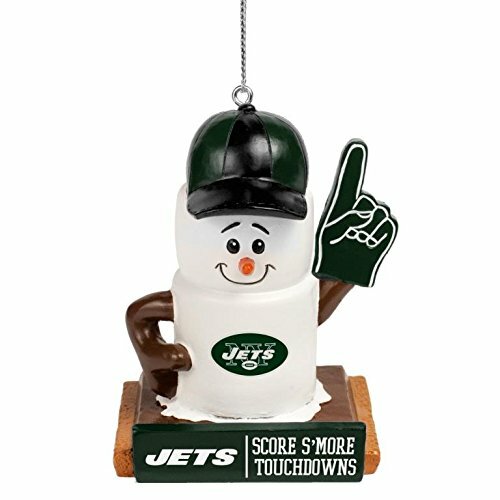 Here are some cute novelty New York Jets ornaments that are a little bit out of the ordinary. 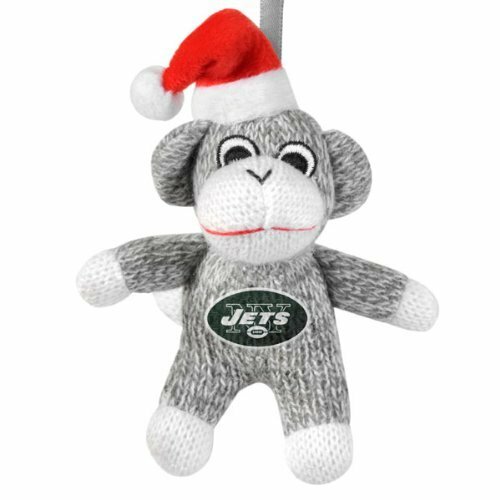 Love the sock monkey and the Christmas stocking. 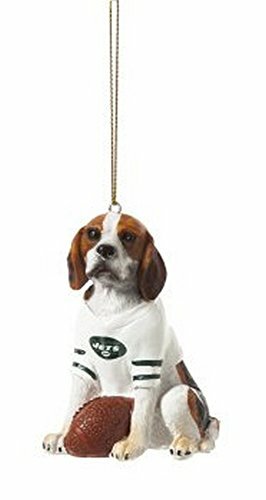 Of course a football ornament would be quite appropriate. 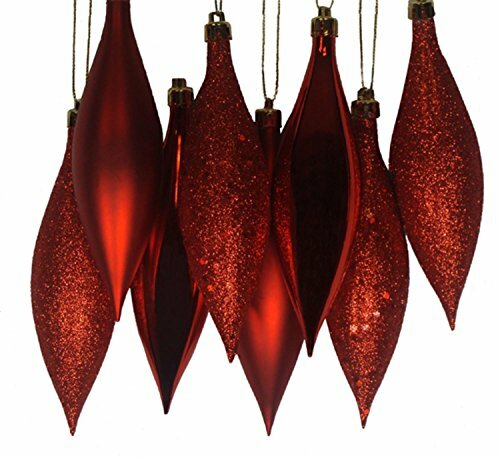 Christmas bells are always good. 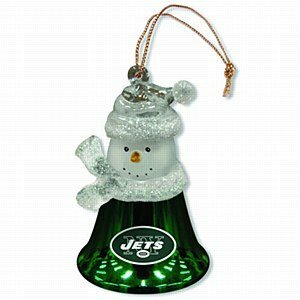 This group of ornaments is a mix of traditional globe ornaments, one with a marabou cap, and a couple of novelties, a Jets locker and a sledding snowman! 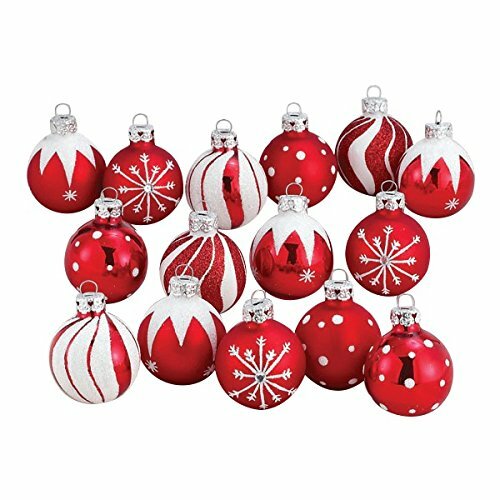 Pretty stars and sassy snowmen make up this group of ornaments. 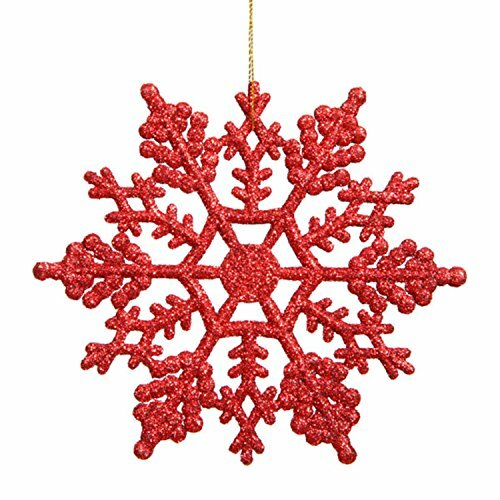 Stars, s’mores, bells, and snowmen are all traditional symbols of Christmas. 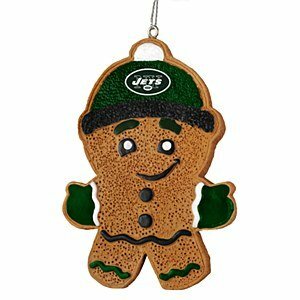 These just have a New York Jets twist on them! 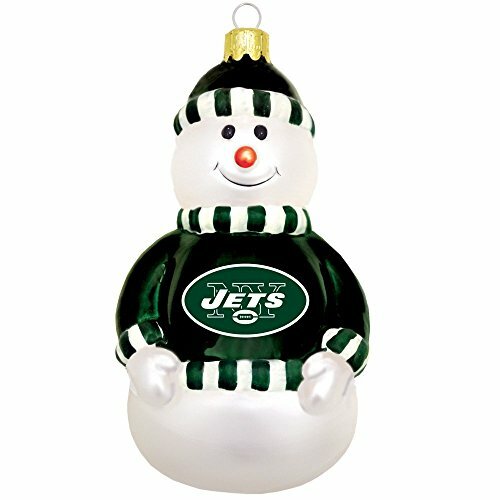 The Jets colors are hunter green and white. 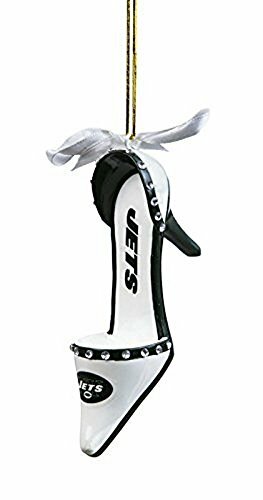 Their cheerleaders are called the Jets Flight Crew. 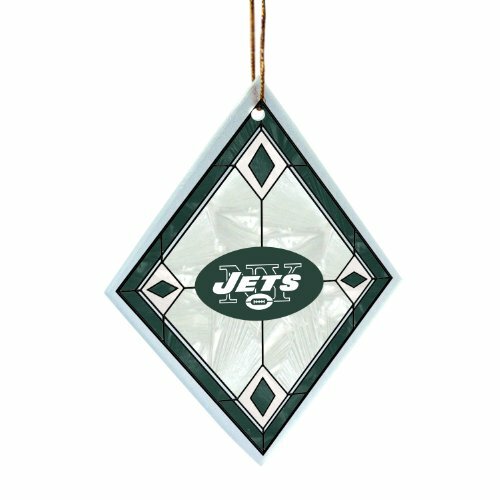 The logo, which was adopted in 1998, is a green oval with “Jets” in the middle in white lettering, and a football underneath. 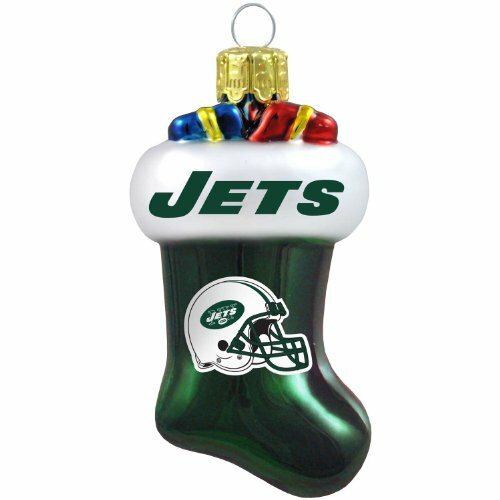 The team was founded in 1959 as the Titans of New York and changed to the Jets in 1963. 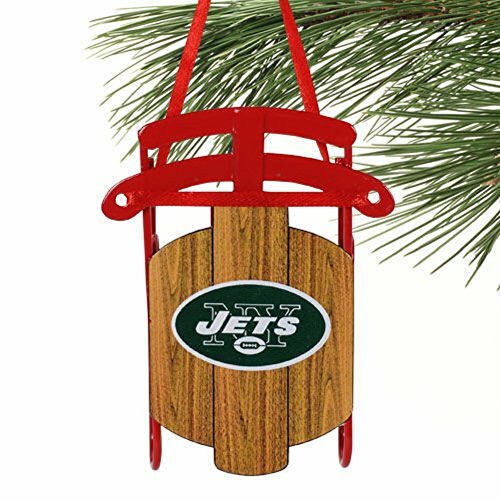 Beautiful red ornaments will set off the green of the New York Jets Christmas Tree Ornaments and brighten up the tree. 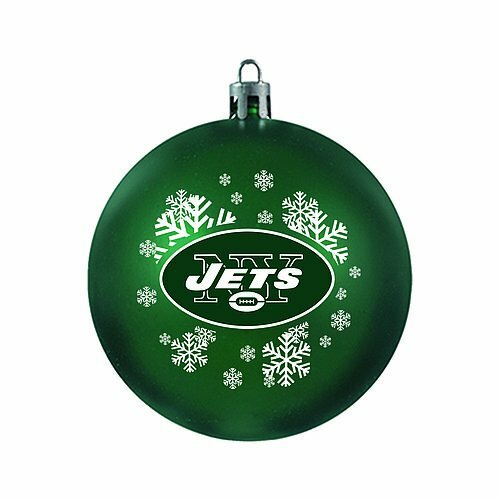 Decked out in lovely red and green, the tree will be spectacular. 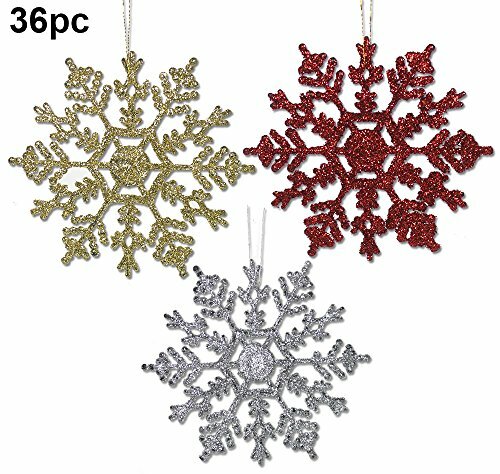 Add some white for accents to really set it off.